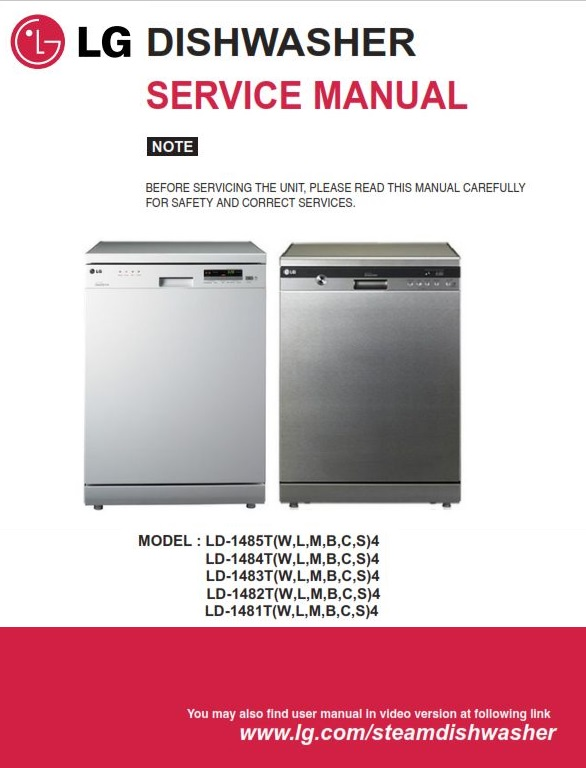 LG LD-1483T4 1484T4 1485T4 1482S4 1482T4 1484W4 dishwasher original service, repair and technical troubleshooting manual. 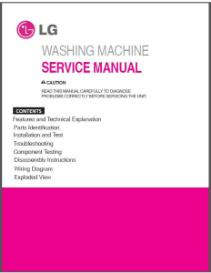 This is particular service manual is the exact same guide which is used by all certified LG technicians and repair shops. You will lear everything about: Service safety and precautions, parts identification, technical explanation, wiring diagram, disassembly instructions, troubleshooting methods, error codes, installations, exploded part views. Instant download! 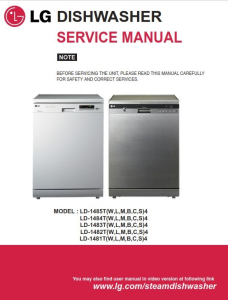 You will have instant access to your service mamual so within just a few clicks and a few seconds you can start your repair, service and/or maintenance jobs!